One of the many interesting functions that perfumes have is the embodiment and preservation of history. And this does not only revolve around royal violets, Napoleonic colognes or the first fragrance with synthetic raw materials. Perfumes also remind us of the brave pilots who first flew across the Atlantic (En Avion Caron) and of wars (Mitsouko Guerlain), the first paid vacations in France (Vacances Jean Patou), and the luxurious Oriental Express trains (Oriental Express Mugler). 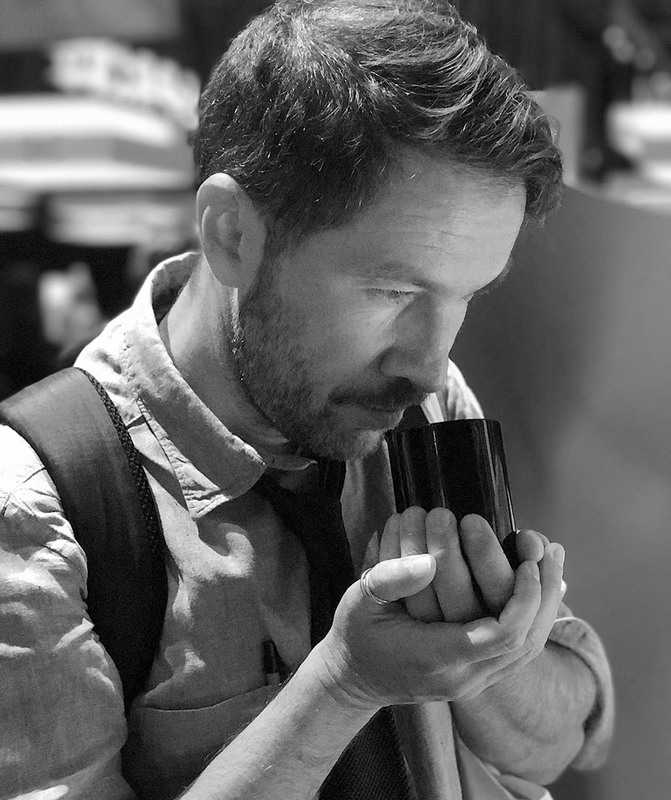 It is possible that in a hundred years, our descendants will talk about the smell of the new MacBook Pro computer, Air Aroma (2012), as the smell of the beginning of the 21st century, and not about the momentary PR it comes with. French Line Revillon, launched in 1984, is also the epitome of history — the history of transatlantic navigation and the history of raw furs. But first things first. 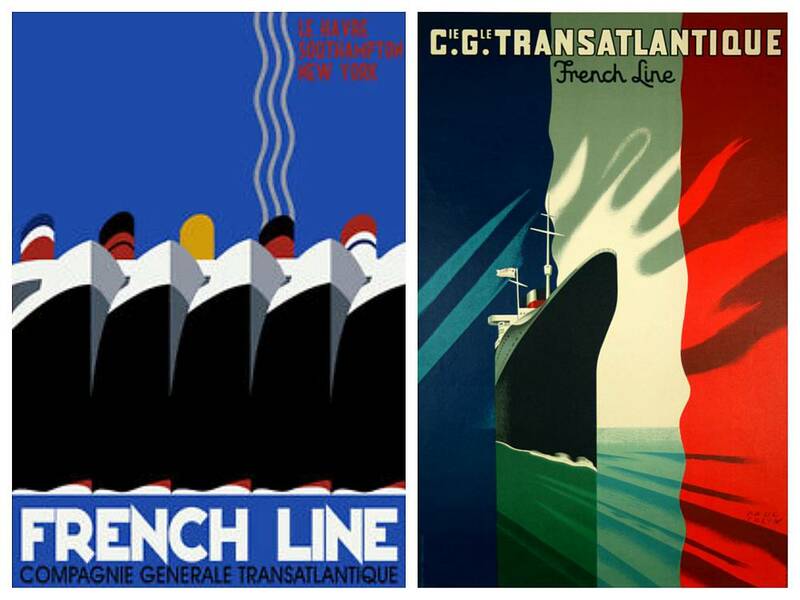 French Line or Transat (in official documents Compagnie Générale Transatlantique), was the colloquial language for a French transatlantic company engaged in passenger transportation between Europe and America. Founded in 1855 and closed in 1974, unable to withstand the competition with airlines, it had ten ocean liners at its disposal and provided a high level of comfort to passengers. This transportation form was especially comforting during the Prohibition in the United States. In addition to passenger traffic, the company was engaged in mail service between France and the New World. Currently, after mergers and renames, the company is part of CMA CGM, the third largest player in the maritime freight market. 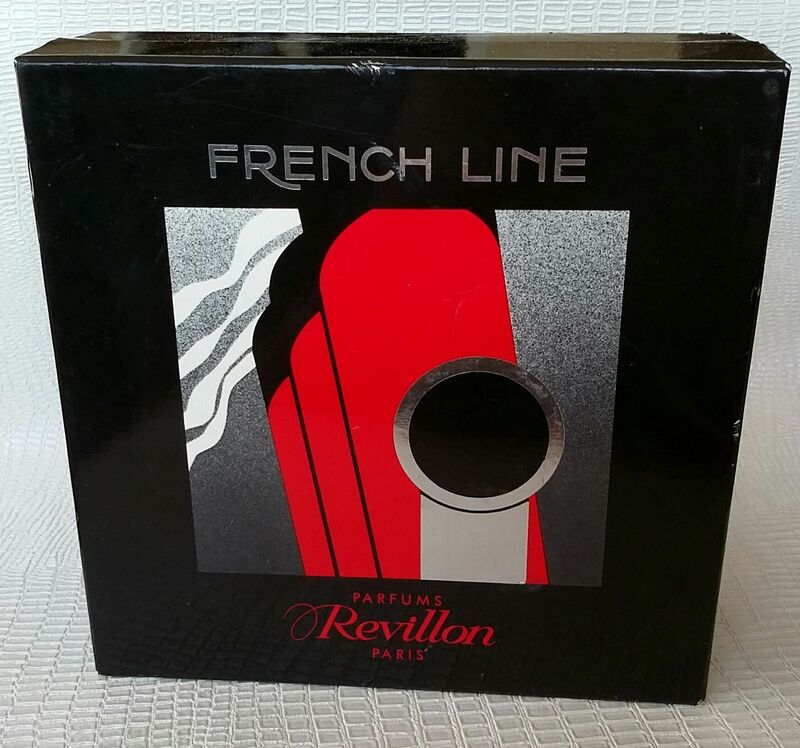 Judging by the release date, the French Line fragrance appeared ten years after the company's closure. It seems that, like Pullman Dana, it was created to remind us of the luxury and comfort that surrounded passengers while traveling on transatlantic liners. The first class interiors of these ships resembled the grand interiors of royal palaces and five-star hotels in France. Luxury was a must-have for the Revillon brand, which began its operations in 1723, and for a long time was the leader of France in luxury fur products trade. 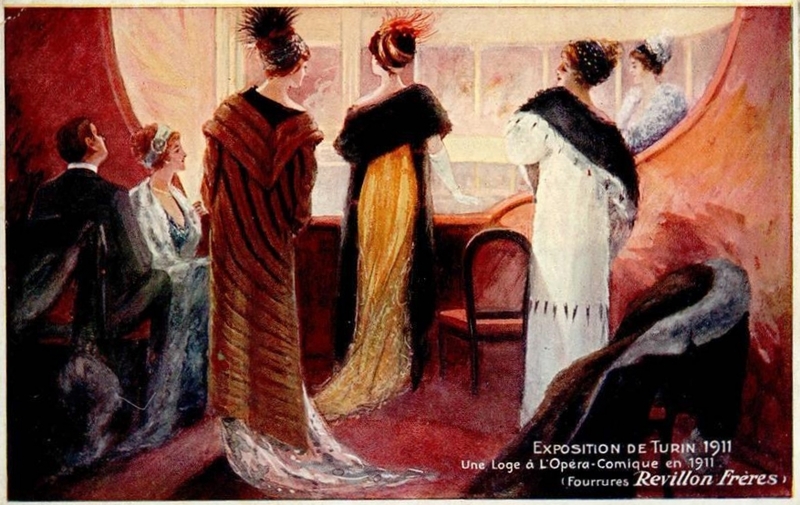 At the beginning of the 20th century, Revillon Freres Furs had more than a hundred raw fur warehouses, in Siberia, Turkestan, Mongolia and Canada, and its fur clothes were awarded by gold medals at many international exhibitions. 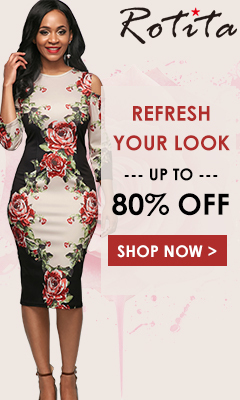 Its boutiques were located on the most luxurious streets of Paris (Rue Rivoli), Moscow (Kuznetsky Most), London (Regent Street) and New York (5th Avenue), and in many other capitals of the world (even in my native city Krasnoyarsk, which was just a small Siberian city then). 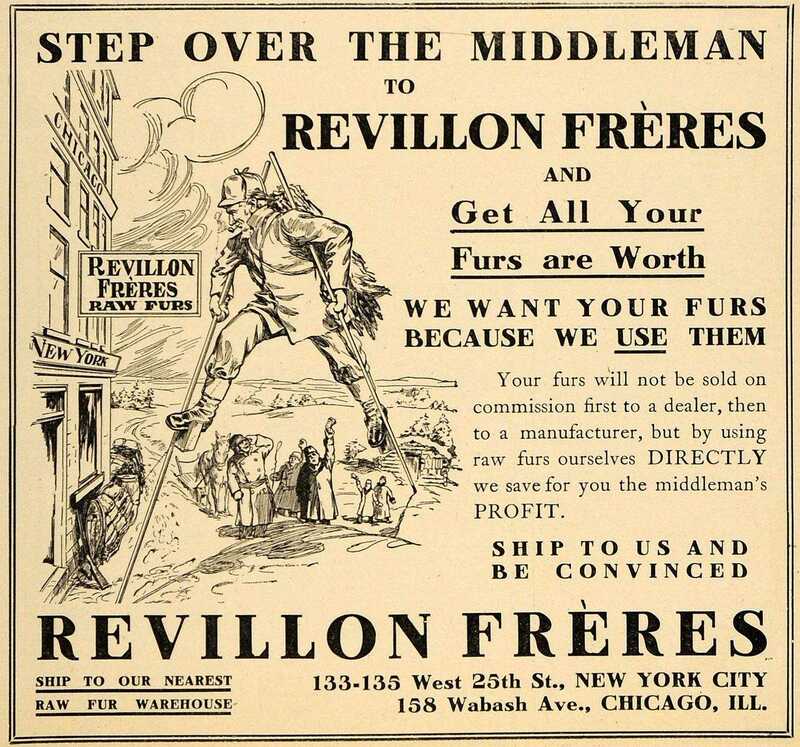 In addition, Revillon Freres Furs had its own fleet for transporting furs. Revillon released its first fragrances in 1935, following the success of Weil, its competitor in the fur business. The first perfumes launched were Amou Daria, Tornade, Latitude 50, and Egoiste by Revillon (the names reflect the exotic places where the company ran its fur business – the Turkestan Amou Darya river and the 50th latitude in Canada). Other fragrances include the Eau Merveilleuses and Lavande Francaise colognes, Carnet de Bal, Cantilene, Bibelot, Anouchka, Detchema, Turbulences. In addition, the company Revillon is known for being the owner of the Caron (1962 – 1970) and F. Millot Perfume Houses. 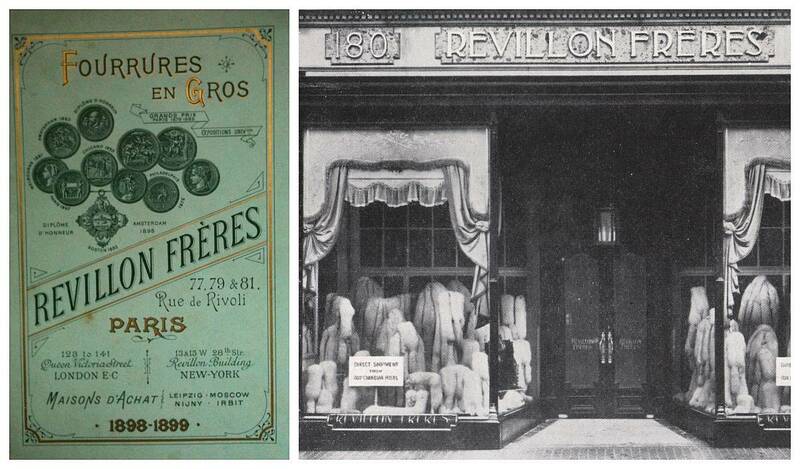 Currently, the Revillon fur and Revillon perfume businesses are not related to each other anymore. The fragrance French Line is a dark wood-and-leather scent, with bitter aromatic herbs and spices. It begins with a bitter-sweet and slightly boozy wormwood and coriander freshness that enlivens the usual citrus beginning. After some time, resinous coniferous shades are added to the wormwood – they seem very solemn to me, but not very relevant to the idea of an ocean ship. The pine needles are partly fresh-green, and partly a bit fruity-sweet (a greeting to Baccarat 540 fans from 1984!). And in the fragrance, I found a much more dominant coniferous and wormwood green part than all the flowers declared in the pyramid. Spices, the eugenol-laden carnation, and the slightly dirty cumin, together with a coniferous chord, create the necessary volume in the heart of French Line, building a transition to a leather drydown. Castoreum and patchouli, slightly softened with honey and powder, create masculinity and calmness, which would fit the captain of the ship. A great option for going to a gala dinner on board; a tuxedo will be very welcome as well. French Line Revillon is not the only cologne devoted to this transatlantic company. 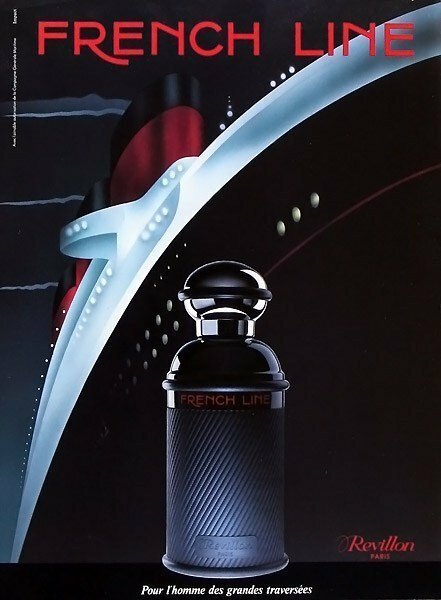 You may remember Normandie by Jean Patou (1935), the perfume launched to celebrate the maiden voyage of the namesake liner, and the souvenir for the very first passengers – the ocean liner SS Normandie was also part of French Line. If you have a look at the perfume box above, you can find that the artist depicted three funnels (a three-stacker), and Normandie was the only ship of the company with this feature. Base notes: Leather, Ambergris, Patchouli, Musk and Coconut.